The Trussell Trust has reason to feel proud about spreading its humanitarian vision, stepping in to give three days of crisis food nationwide. It is a vision that David McAuley said his fantastic team buys into and one that has also caught the interest of groups around the country. The uptake of their simple food bank model, what Mr McAuley called a ‘social franchise’ has seen their goal for 200 food banks opening this year, approach a total of 400. Mr McAuley said that independent groups can open a food bank in their neighbourhood. 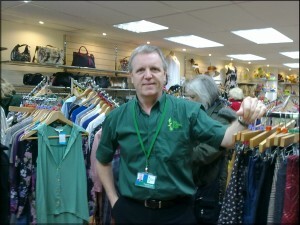 As the self-supporting Trussell Trust expands, they open more charity shops to provide 35 – 40% of cash income. 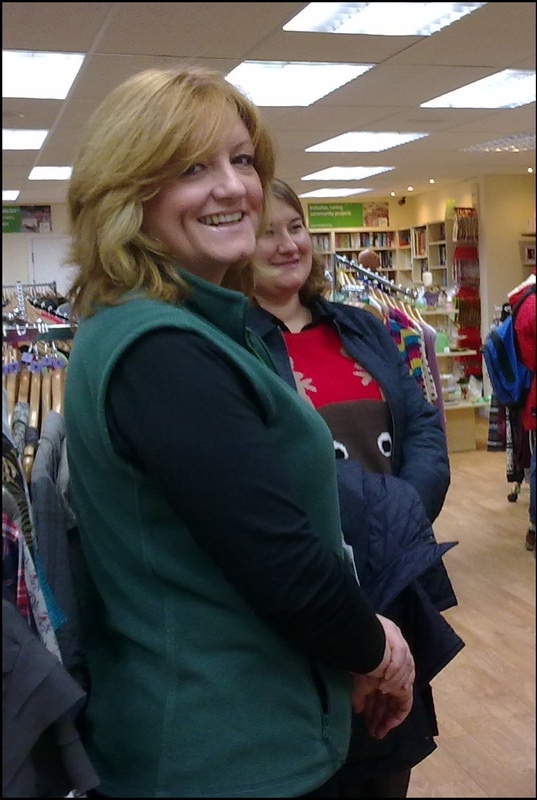 So on Monday 2 Dec the Trussell Trust opened a charity shop in St Catherine’s Road, Salisbury. 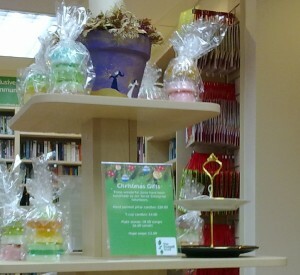 Behind the counter, some volunteers were getting work experience. On the central display stand, other voluntary groups had produced hand-made craft gifts. Sometimes the contributors have mental health problems or difficulties but the Trust tries to draw them out. 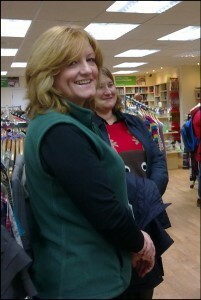 As Chrissie McAuley, the retail manager explained, they now have nine shops set up within a specific ethos. 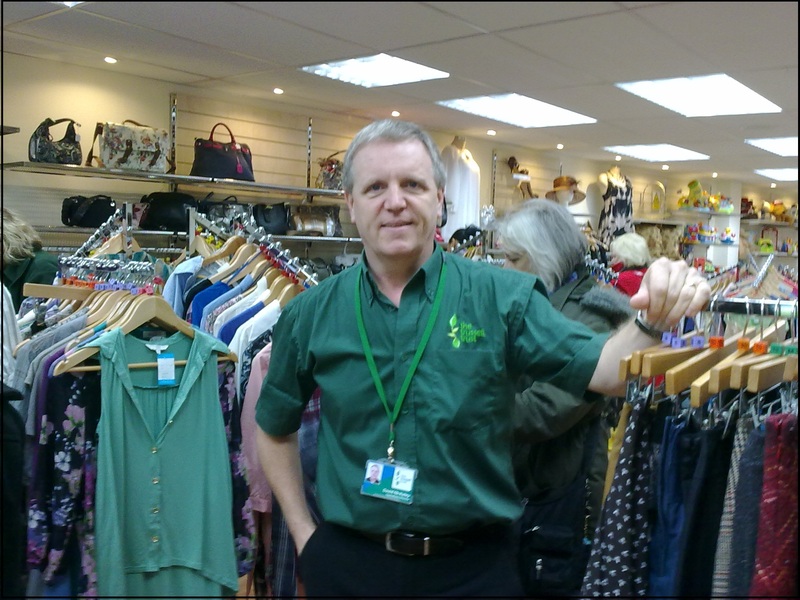 Charity shops are everywhere, but the Trussell Trust have surpassed their own goals and are a veritable growth industry. Mysterious but possible. Chrissie is passionate about people. Certainly, the dark crammed corners are gone. It is clean, airy and light, with new armchairs alongside the floor-to-ceiling bookcases. You may find the genre of charity shop has become accepted and this brand is inclusive and respectful. What people need, Chrissie says, is love. Certainly it is working. On Monday the local Tesco’s manager was there. Tesco housed three days of food bank collections last weekend. They have promised to match 30% of the weight of the weekend’s donations with their products. After the launch and photo shoot, Chrissie’s passing remark was one for a wish to see an end of a culture that neglects the vulnerable.